Young right-hander Sean Reid-Foley will open the season at Triple-A Buffalo, according to Toronto Blue Jays manager Charlie Montoyo. 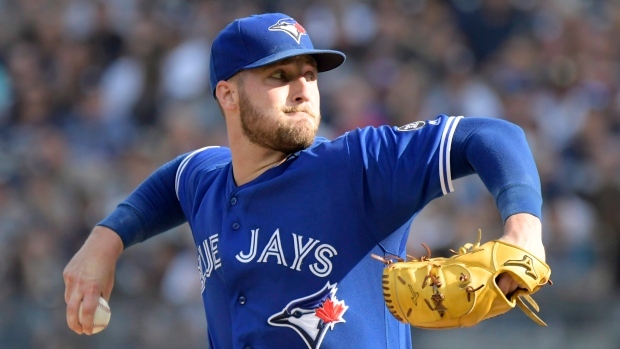 This leaves Sam Gaviglio, Thomas Pannone and Trent Thornton as options to cover for Ryan Borucki in the rotation. He is expected to begin the season on the injured list and miss at least one start with an elbow issue. Last season, Reid-Foley made seven starts and pitched to an earned run average of 5.13 in 33.1 innings. The Jays also placed infielder Devon Travis on the 60-day injured list and officially announced the Daniel Hudson signing.